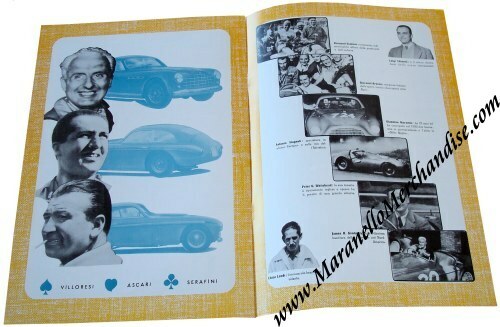 The inside front cover features an introduction written by Enzo Ferrari. 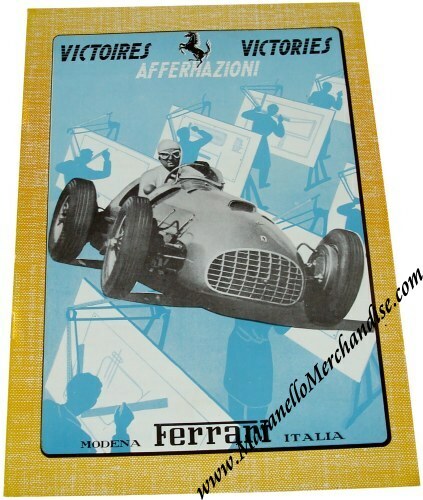 The interior pages celebrate the 1950 Race Winners Ascari, Villoresi, Menditegui, Musso, Sommer, Cunningham, and more through pictures and descriptions. The rear cover features map of the world where Ferrari has raced and won. It measures approximately 8' x 12".